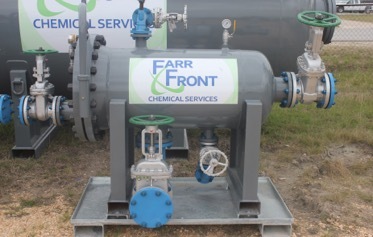 Farr Front is staffed to provide a turnkey effluent management system including design, layout drawings, developing a detailed mechanical needs list, low point tagging, equipment installation support, execution support, and offsite cleaning of our equipment. Do you have an application requiring temporary cooling or heating? Give us a call for an application analysis. Quick turnaround on exchanger calculations. 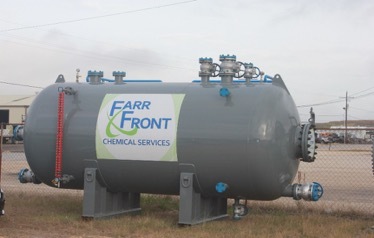 Farr Front manages a large fleet of tube and shell heat exchangers offered in 750 ft2, 1,500 ft2, and 2,500 ft2. 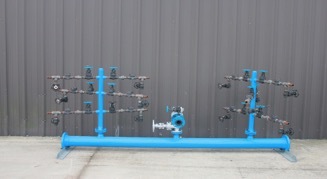 Each unit is cleaned, inspected, and pressure tested after each use. For more information including specification sheets, U1’s and mechanical drawings sign up to access our customer portal here. Ensure adequate degassing of effluent streams while also providing tie in for emission control devices by using our temporary relief drums. Each unit is cleaned, inspected, and pressure tested after each use. 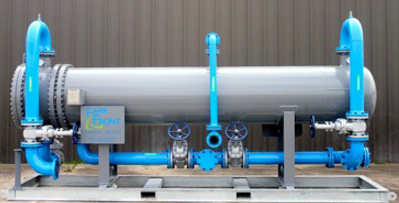 Farr Front maintains a large inventory of 150# and 300# temporary process piping, fittings, and valving. Drain piping comes with three 2″ stub outs on 10′ sections. 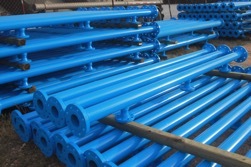 Straight piping is available in 20′ sections. 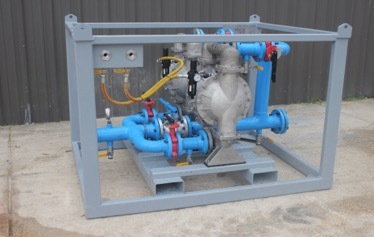 When solids are expected, don’t run the risk of plugging an exchanger! 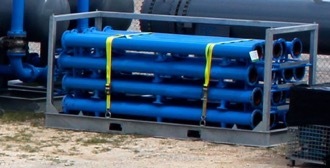 This basket style strainer/ filter offers protection to downstream equipment while being able to be back flushed without disconnecting from the process. 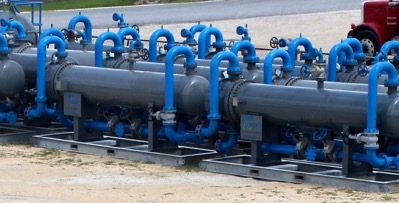 These units develop up to 273 GPM, offer built in redundancy, have a built in bypass with positive isolation, and run on plant air or nitrogen with a footprint of only 6′ x 4.5′!. All wetted parts are replaced after each use. 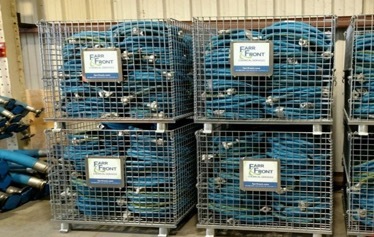 FFCS has worked with a major hose manufacturing and distribution company to develop and bring to market a hose specifically designed for the duty of dealing with the product streams and hot condensate typically experienced during decontamination projects. Reliability is greatly improved relative to stainless steel braided hose. These are offered in ¾”, 2″, and 4″ sizes. 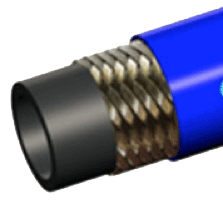 Stainless steel braided hose is also available in ¾”, 1″, 2″, 4″ and 6″.